Here’s an amazing statistic. A recent study concluded that approximately 93% of firms online use social media to promote their businesses. Now, it’s become an indispensable tool that every good digital marketing agency recommends that their clients use. But, there are dozens of ways to use social media when ramping up your online marketing efforts. The question for you and your agency is to find out which ones work best. Here are a few tips that might make that task easier. 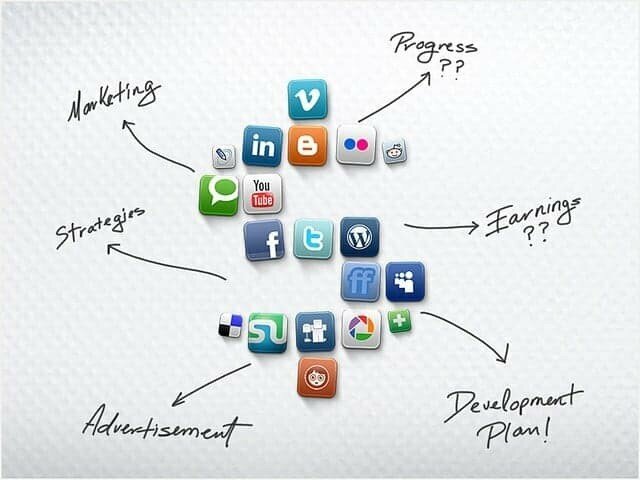 Naturally, your marketing department and your agency will take the lead in plotting social media strategy. That, after all, is what you’re paying them for. But social media is an exciting new venture and can do a great deal to pump up employee morale, as well. Keep them informed about what you’re doing, share the results, and ask for suggestions. Don’t forget that your employees are social media users themselves. Keep them in the loop. There’s Facebook, Twitter, Tumbler, Pinterest, YouTube, LinkedIn and a whole lot more social media platforms out there. Which ones should you be on, and which ones are a waste of time and effort? Turn that one over to your digital marketing agency. They’re the experts. It’s up to them to look at the demographics of each social media site and decide which ones have the audiences that will be most responsive to your sales pitch. Also, they have the staff to track new social media sites as they appear on the internet, including ones that may be of interest to you. That means both copy and graphics. Remember, you probably have just a few seconds to catch a browser’s attention on social media. That’s it. If you don’t do it, they’re off. Writing and designing your social media message is a very different animal than print or broadcast advertising. Your agency will have copywriters and graphic artists who specialize in these areas. They know how to attract attention. But just make sure you give them all the facts on the products or services you want to promote. It will help them do a great job, and help you establish a lasting rapport with your customers/potential customers. Here’s a rather odd statistic: up to 30% of the businesses using social media, don’t track their results. You have to scratch your head and wonder why. If you’ve gone to the expense of using social media, why wouldn’t you want to find if it’s working for you? Fortunately, your digital marketing agency can incorporate metric measurements into your site. A popular one is Google Analytics that can tell you who visited your site, where they were directed from, how much time they spent, and where they spent it. You’ll be able to tell what’s working and what’s not, and adjust your marketing strategy based on the statistical information. Let’s say you have a browser who’s so enthusiastic about what you have to offer, that he wants to share it with one or more of his friends or collogues. In the old days, this would be called word-of-mouth-advertising. And, as everyone knows, that’s the best possible kind of advertising for any business. But here’s the catch: that enthusiasm the browser has will only last a nanosecond if he finds it difficult to find your message sharing toolbar button. He’s not about to work to find it, so you and your agency have to make sure it’s right there in plain sight. By making it easy for the customer, you also make it easier to sell more products/services, and establish a solid, long-lasting relationship! This is where working with a digital marketing agency pays off. They have the resources to keep tabs on your social media site, what your competition is up to, as well as new industry trends that might benefit your company. Depending on the traffic to your site, you should establish a time interval when you and the agency get together on a regular basis to compare notes, and get briefed. You’ll find it’s time well spent. And by keeping in touch, you’ll find that you’re also able to keep a step of the competition! And isn’t that what it’s all about?